MINGO JUNCTION — Troy Carter threw a no-hitter with eight strikeouts as Wellsville topped Jefferson Christian 18-0 in five innings on Thursday. For the Tigers (5-5), Jason Tice had a hit and three RBIs, while Connor Ramsey had a hit and three RBIs. Caden Weekley had a hit and two RBIs. Wellsville is at Columbiana on Monday. RAYLAND –Isaiah VanDine tossed a five-inning no-hitter as Indian Creek blanked East Liverpool, 10-0, Thursday. VanDine struck out seven and walked one for Indian Creek, now 5-5 on the season. Coy Amis drove in four runs for Indian Creek with a double and three singles. Kaly Cottis added two singles and Josh Maurer a single and an RBI. East Liverpool (1-13) will host Indian Creek on Monday. IC–Isaiah VanDine, wp (5IP, 7K, 1BB) and Kody Cottis, David Ferroni (4). EL–Devin Toothman, lp (1 2/3IP, 2BB), Derek Klein (2 1/3IP, 2BB) and Kamren Klokos. ATWATER — Garrett Cox threw a shutout to lead Lisbon to a 7-0 win over Waterloo on Thursday. Jaikep Entrikin had two hits including a double for the Devils, while Logan Bell had a double. ATWATER — The Lisbon hit parade continued as the Blue Devils banged out 13 hits in a 13-3 win in six innings over Waterloo on Thursday. Justyce Vrable paced the winners with a double, home run and three RBIs. Kenedy Vrable had two doubles and three RBIs. Autumn Oehlstrom had a home run, while McKenna Dailey had a home run and two singles with two RBIs. Taylor Deland had a single and three RBIs. Lisbon is 9-0 and is at Wellsville on Saturday. LI–Mya Emmerling, wp (6IP, 2BB, 1K) and Kaity Clark. W–Kehrer, lp (6IP, 3BB, 2K) and Cieplinski. NEW MANCHESTER, W.Va. — Madison McKay’s 11th inning home run lifted Oak Glen to a 7-6 win over University on Thursday in prep softball action. A doubleheader was scheduled to be played but the length of the first game did not allow for enough daylight for a second game to start. Oak Glen banged out 13 total hits. Hanna Patterson had three hits including an RBI. McKay had three hits as well. Lexi Andrews had two hits and an RBI. O–Janaya Montgomery (5IP, 3K, 4BB), Madison McKay, wp (6IP, 1BB, 8K) and Hannah Walker. 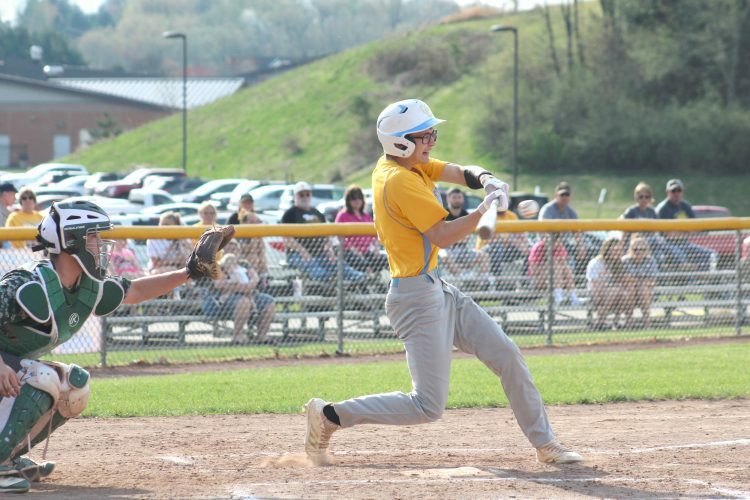 SALINEVILLE — Southern Local bested East Liverpool 21-1 in five innings on Thursday. Cheyann Board had two singles and two RBIs for the winners. Jayla Smith added a single and RBI. Des Smith had two singles for the Potters.